Hey kids, wanna stream music the hip way? Jay-Z's music streaming service, Tidal, is pulling out all the stops to gain a foothold in the game, finally launching desktop apps for Mac and Windows users and a half-off discount for students. 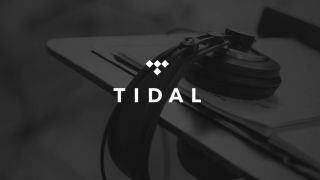 Tidal prides itself in bringing exclusive content with high-fidelity sound quality. The company has come to realize it needs more features to sweeten the pot, especially since its premium tier costs twice that of competitor Spotify. The hi-fi music streaming hub is launching its first desktop apps for Mac and PC users since Jay-Z's high-profile takeover, which are available for download at Tidal.com. In addition to the new desktop apps, the mobile and web interfaces are getting an upgrade, improving search results, offering more personalization options and a streamlined menu. Interestingly enough, Ticketmaster, a.k.a. the guys that charge you an extra 8 bucks per ticket for "fees," have thrown their hat into the Tidal pool as well, offering users the ability to view concert info and make ticket purchases from within Tidal. Spotify offers a similar service via the SongKick Concerts app. Tidal's most attractive announcement is that "in the coming weeks" students will be able to get 50% off of a Tidal subscription. All the students need is a valid .edu email address and voilà! Now that $20 hi-fi package starts to look a bit more reasonable.